Birdwatching Tips Sep 18, 2014 Birdwatching is an ever popular past-time that more and more people are turning to nowadays, combining a love of nature with a healthy outdoor activity. M.. Resolution: Wanting to Help Others Dec 30, 2014 Following on from our prior article last week about the resolution of being your own boss, today we talk about another common resolution and options you might w..
Pet Care Basics – What is Dog Grooming? Apr 16, 2015 Just like it is with people, for a dog to be at their best, special care and attention needs to be taken to ensure they are clean and healthy. And sadly, .. Animal Care... the job for you? Jun 14, 2016 Animal Care… the job for you? 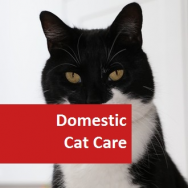 Did you know that the pet population estimates that 13 million (46% of) UK households have pets. The pet population.. The loss of the Wryneck in Britain Jul 27, 2018 Photograph by Aelwyn, Licensed under CC BY-SA 3.0. The Wryneck (Jynx torquilla) is a kind of woodpecker. It looks a bit like a sparrow with a s.. Introducing Cara Gage Nov 02, 2018 Introducing Cara Gage! 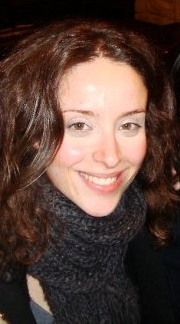 We would like to welcome Cara Gage to the ADL team. She will be working with Registrar Amanda White to bring you a great stu..
is this strictly a masters or is it an honours degree? This course is neither a Masters or a Degree. It is a certificate course of a level 4 attainment.It can be taken to gain an in-depth understanding of Animal Psychology. 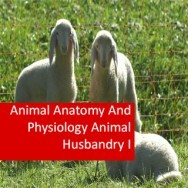 Is this course just related to animal behaviour in pets only? or wildlife as well? This course relates to the overall psychology of animals so will cover some pet behaviour as well, though not in great detail. What would some career option be after completing this course? Hello Tegan, This course helps students learn why animals behave they way they do and aids in potential jobs within training, handling and maybe even conservation areas. Career wise, you would likely require further training and work experience before you could utilise this course to its full potential. ( Ankita Jain, 13/07/2013 ) Q: To do the animal bhevaiour course do you require any specific qualifications? 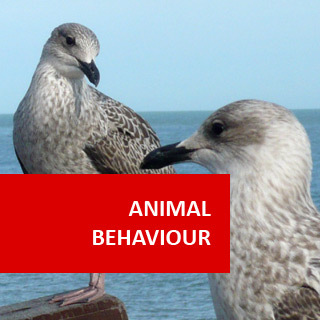 Animal Behaviour (Psychology of Animals) course online. What makes animals tick? 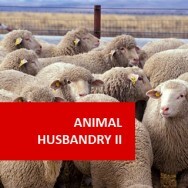 Learn through this Home Study Animal Behaviour course. Understanding your Animals' (pets) Behaviour is the key to a happy relationship. Do they think and learn like humans? How do they adapt to their environment? Which animals have the best social life? 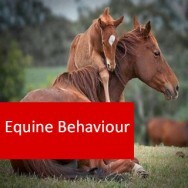 Learn all this and more when you study the psychology behind animal behaviour. Excellent knowledge, useful for working with animals in many situations (farms, zoos, veterinary practices, pet shops or even in the wild!) 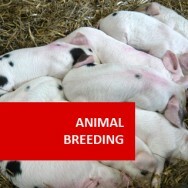 This online course covers implications for handling and training animals. We assume all animal behaviour is an adaptation for survival, but this isn't always the case. Animals can behave self-destructively, out of habit, or out of boredom, or for other reasons: just as humans can. This course focuses on mainly understanding how animals think (all types), but it also has more of a practical application, looking at things such as training, handling and dealing with abnormal behaviours. Sensory processes, sight, sound, hearing etc. Training animals (horses, cats, dogs, etc). The student has a choice of which types of animals to focus on, though a variety will still be covered. Gain all important hands-on experience with wildlife animals, to add to your CV whilst you are studying this Certificate Course with ADL, or after completing it. We are very happy to be associated with GVE, which offers an unforgettable volunteer experience in South Africa with their Game Capture and Vet Experience programs. Animals communicate not only with auditory signals, as humans do, but also by visual and olfactory signals. Communication in animals depends on their ability to perceive messages. The sensory abilities of many animals, with the exception of cats and dogs, have not been studied systematically. Usually when we describe the perception of animals it is most often compared with that of humans. HOW DO ANIMALS PERCEIVE THINGS? Animal behaviour is controlled by a nervous system, which is comprised of special nerve cells called neurons. The nervous system operates according to the same general principles in all types of animals. The nervous system is stimulated from the environment, through sensory receptors. A stimulus is any form of energy that can be detected by the body. A signal is the physical coding of information (e.g., a message) capable of transmission through environment. Sensory processing includes all central acts of information processing, which link the initial stages of sensory reception with the creation of subjective sensory perception. Animals normally only respond to stimuli which they select; they filter out certain stimuli that surround them, and react to others they choose to accept. The reaction to a stimulus frequently depends upon the context: the various components that make up the environment and the overall situation in which the animal finds itself. It is well recognized that the same stimuli can cause different responses in the same animal. Learning and experience together affect the animal’s ability to assess the setting in which stimuli are received and vary responses through cognitive processes. here are many situations though where the context or setting is relatively unimportant. These types of stimuli are called “symbols”, “releasers” or “behavioural signs”. Such stimuli will “release” or trigger more or less predictable, pre-programmed behaviours. Example: Young herring gulls peck at a red spot on their parents’ bill when they seek food. Experiments have shown the same birds will peck at a red spot on a cardboard model when the cardboard is roughly shaped like a bill. Auditory symbols are common in many types of mammals and birds and act as specific “releasers” for a range of social behaviours including courtship and mating. The setting or context is obviously very different, but the behaviour remains unchanged. Imprinting is a dramatic example of the way “releasers” work. Many types of birds develop a strong bond to a mother; demonstrated by a “following” response. Note how the ducklings follow the mother duck. This type of imprinting of birds happens during a critical period after hatching, in response to specific releaser stimuli from the mother. The releaser stimuli may include both the visual appearance and the movements undertaken by the mother. Experiments have shown that “imprinting” can still happen when the biological mother is not involved, if appropriate releaser stimuli are reproduced during the critical time frame. Imprinting is also highly resistant to extinction or reversal and has a profound and lasting effect on later social behaviour with respect to the stimulus objects. Negative imprinting is a phenomenon by which young animals and birds learn to avoid mating with those that they have been raised with. Other methods of ‘inbreeding avoidance’ include dispersion, where the young leave the nest or home and out breeding. Releaser stimuli can also originate inside the animal (e.g. in mammals, a low sugar concentration in the blood will stimulate a “hunger” response in the brain). 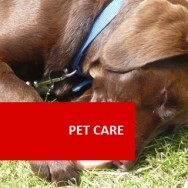 "Animals can encounter various health problems including the following. of plants, animals, and bacteria that often cause disease and that consist essentially of a core of RNA or DNA surrounded by a protein coat. They are unable to replicate without a host cell and are typically not considered living organisms. Bacterial Diseases - Bacteria commonly enter a host’s body by invading a break (i.e. wound) in the skin, a membrane or wall. Often this "break" must occur in a specific part of an organ, for a particular type of bacteria e.g. Diphtheria can only enter through the tonsils, while pneumonia can only invade through the walls of the respiratory tract. Once inside a host, bacteria have to resist the defense mechanisms of the host. If the bacteria manage to overcome this system, they will then set about spreading infection by growing rapidly in the immediate tissues, blood or lymphatic fluid. Bacteria cause injury in tissue by producing toxins or poisons. Some toxins are secreted into tissue while the bacteria lives (eg. tetanus), while others are only released when the bacteria dies or breaks up. Many bacterial diseases show an incubation period. This means that some time may elapse before the symptoms of the disease develops. Not all hosts show the same susceptibility to diseases. Fungal Diseases - Fungal diseases are called mycoses. Veterinary medical mycology deals with fungal disease in both invertebrate and vertebrate animals. Fungal disease agents are widespread and can be isolated from a wide range of animals, from the soil and the environment. When fungi are suspected to cause animal disease, it is important to have criteria to distinguish infection, colonisation and contamination in order to reach a diagnosis. Some fungi are restricted to specific animals and others are found on a range of different animals. When making a diagnosis it is important to distinguish whether a fungus is actually the causal organism, or whether in is only a secondary factor. Genetic Disorders - A genetic disorder is an illness caused by abnormalities in animal’s genome. Genetic disorders caused either by a different form of a gene called a “variation”, or an alteration of a gene called a mutation. Mutations may occur randomly or as a result of environmental exposure. Other genetic disorders are inherited. Metabolic and Nutritional Disease – These are conditions that are caused by a disturbance of normal metabolic functions. These disturbances can be caused by genetic drift, inadequate or incorrect nutrition and impaired nutrition utilisation. Metabolic diseases are any that disrupt normal metabolism (the process of converting food to energy within the cells). Nutritional diseases are nutritionally-based. Good nutrition supports a healthy immune system to ward off infectious diseases. 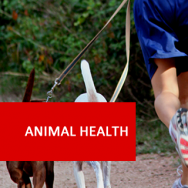 Proper nutritional balances help keep the animal healthy. 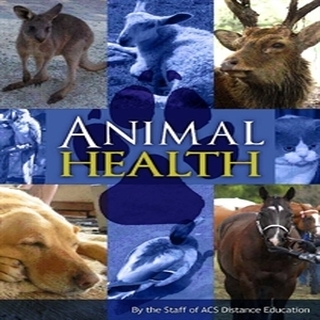 Nutritional imbalances may make the animal more prone to disease."